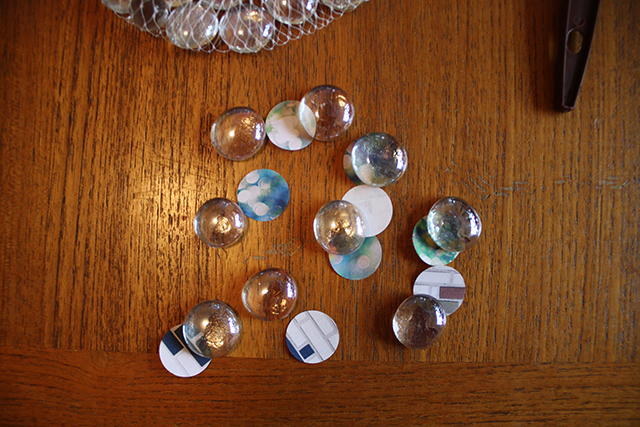 Home Arts & Crafts	Making Magnets – Inspired by our Facebook Fans! Yesterday, we shared an image of our Summer Slide Printable on our Facebook wall, and a Name Bubble fan asked if the magnets featured were available for purchase. 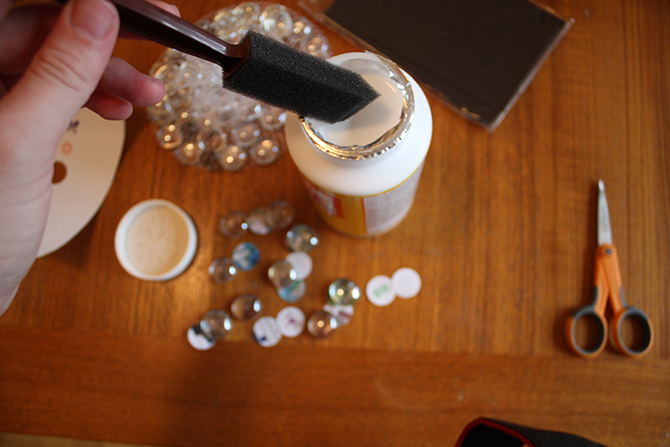 Even though Name Bubbles doesn’t sell these, I thought I’d share a quick tutorial on how to make them yourself! They’re adorable, easy to make, and very kid-friendly. 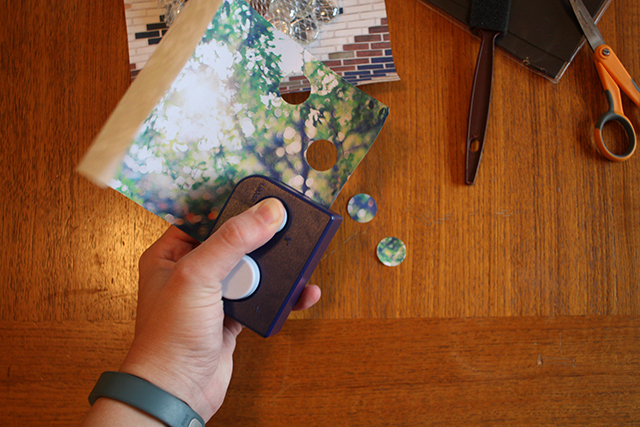 Not to mention, your kids can choose the photos from which they’ll be making magnets to make them super unique. The more creative, the better! This is the first chance for you and your little ones to be super duper creative. Select the photo, printed photo from the web, or newspaper comic strip from which you’d like to make your magnets. 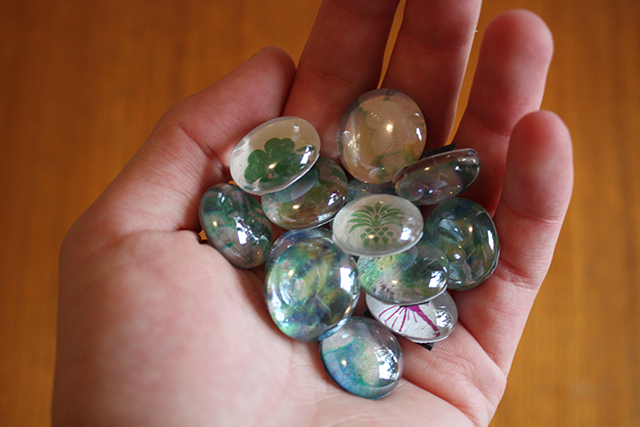 Cut each into a circle to fit the bottom of your glass pebbles. 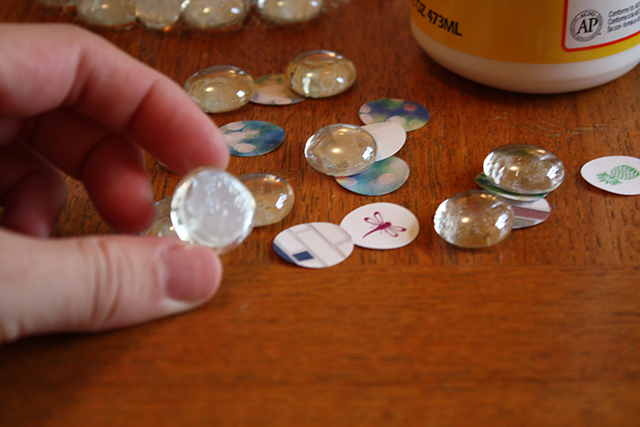 I had a scrapbooking obsession a few years ago, so I had a circle punch-out lying around, but a simple pair of scissors will work perfectly. 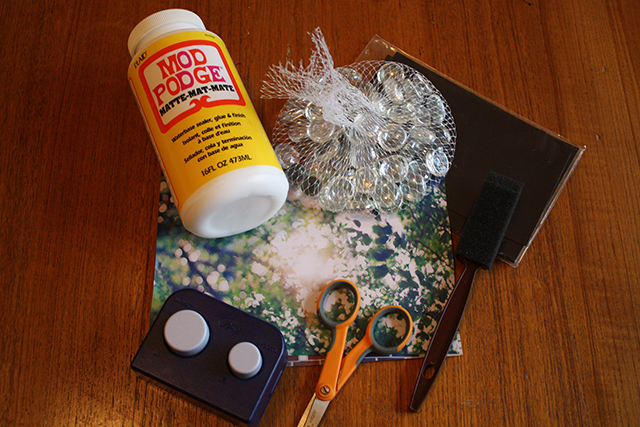 Take your handy-dandy Mod Podge and small paintbrush and add a thin layer of Podge to the flat side of your pebble. Once you do that, simply place your circle cut-outs face down. In a minute or two, they’ll be dry and you’ll be on to the next step! Add a thin layer of Podge to the back of your paper. 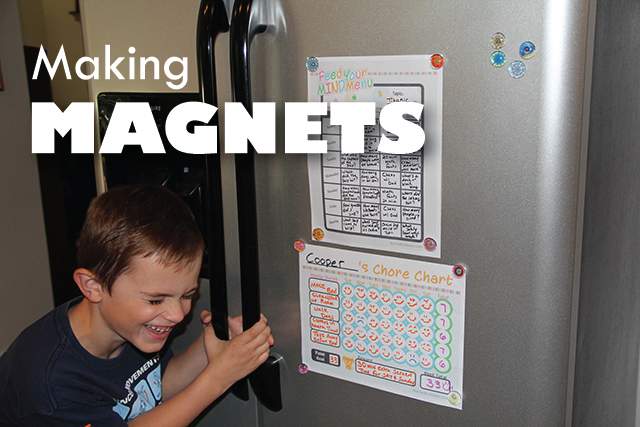 This will add a layer of protection and extra sticky-power to your magnets. 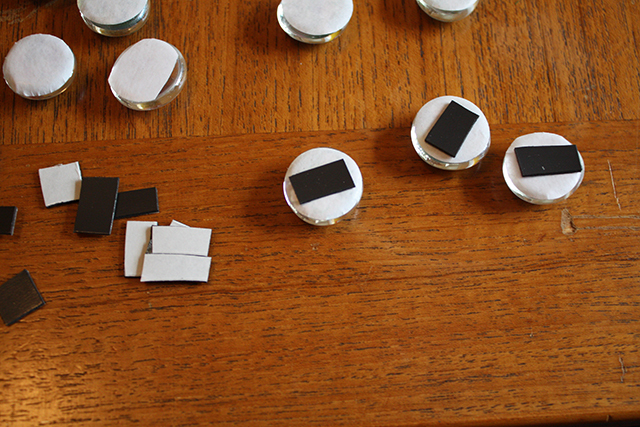 Cut your magnet sheet into small squares, small enough to fit on the back of your pebbles. Adhere the magnet to the back and you’re done! Now’s your chance to be creative, have fun, and make something beautiful to decorate your fridge!